A superhero can't waste time worrying if their tights match their costumes. In fact, for some heroes, their tights pretty much are their costumes. Do you think The Penguin would take Robin seriously if he showed up at his icy lair with hot pink tights on? And what would happen if Superman took on Lex Luthor, with a run in his tights? Superman might still win, but not before Luthor knocks his ego down a few notches. In the costumed hero business, the value of good tights can not be underestimated. You don't have to remind Batgirl. Her tights game is on point when she slips into these official DC Batgirl Tights! 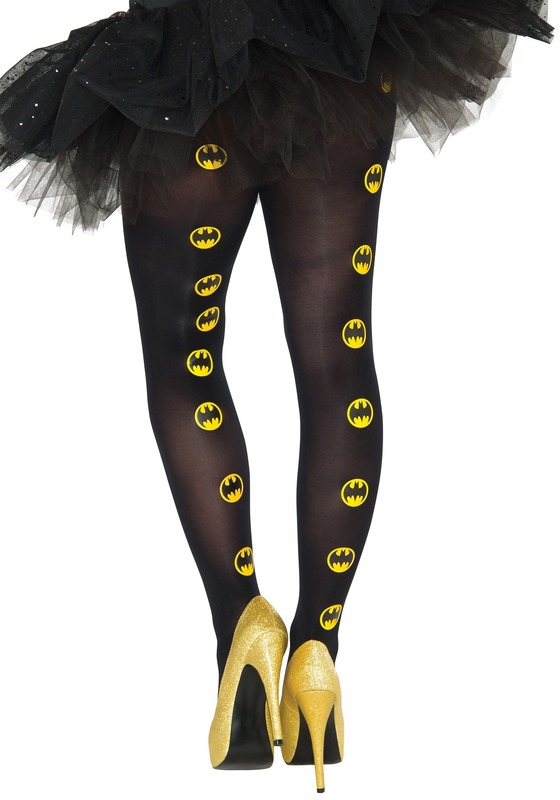 Just like the rest of Batgirl's gear, these bat-tastic tights feature the yellow bat symbol along the length of each leg. No fancy bells or whistles, just stylish justice. Villains will run and cower in fear at the sight of you in these heroic leggings!